Manchester Cleaner is a professional cleaning company that provides you with a variety of services for your home and office. The trusted experts can take care of all boring chores at affordable prices and make your property spotless again. Let the professional cleaners in Manchester keep your place flawless and enjoy your free time! For more information about the Membership Programme, please call us on 0161 823 0200 now and ask our polite customer care agents. Manchester Cleaner offers you a wide range of high-quality cleaning services suitable for both residential and commercial properties. Have your place professionally clean and tidy at a reasonable price by the local cleaning teams. As a licensed provider of professional cleaning services, Manchester Cleaner relies on insured, well-qualified and highly skilled technicians. 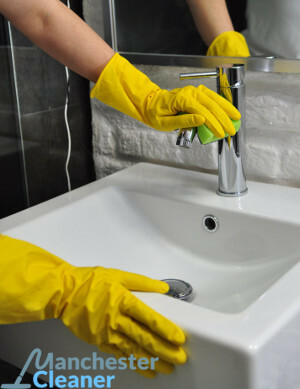 The cleaners are extensively trained to perform their duties on a very high level. They are regularly checked by our quality control operatives. We offer you a 24/7 customer service - you can call us on 0161 823 0200 anytime and our kind phone operators will help you. They are ready to answer all your questions and to schedule you an appointment. As a customer-oriented company, we are focused on meeting our clients’ expectation and to satisfy their cleaning needs. We offer you to take advantage of our benefits and special discounts and to have all your cleaning tasks done in no time by dedicated Manchester cleaners. If you have any questions, please visit our FAQ page or get in touch with us. For further information on our local cleaning services or if you would like to get a free, no-obligation price estimate, do not hesitate to call us on 0161 823 0200 now or fill in our contact form below.